July BTV News - Valley Ventures Edition! In this Issue: Valley Ventures Fall Applications | BTV Holds First CEO Crash Course | WET Member Highlight | In the News | Events & Webinars | Grants & Opportunities | Did you know? Welcome to the Valley Ventures Edition! 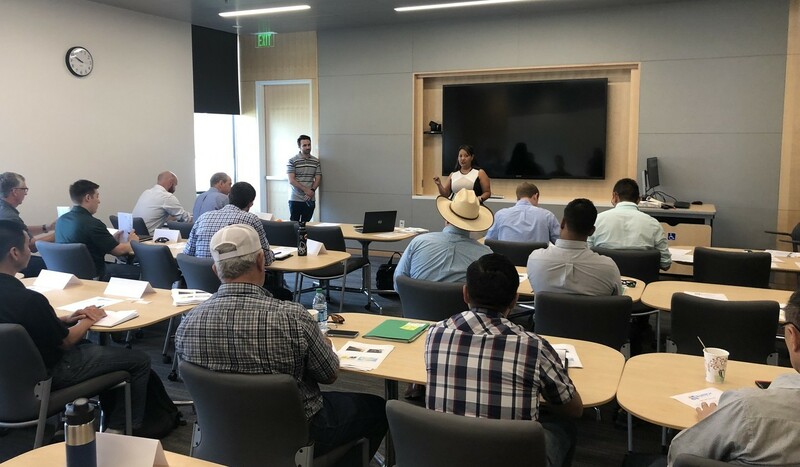 The Valley Ventures accelerator is in the process of accepting applications for companies in the ag, water, and energy sectors that have a potential solution to the problems the industries face. To apply or learn more, click the image above or visit valleyventures.org/application. running a business that entrepreneurs need to know. funding, and business model development. For more information on the Crash Course click here. grand prize in New York's 76West Clean Energy Competition. the Central Valley California, where our primary market is,” says Agata Hinc of Skyven. to reduce their energy cost and their GHG emissions. Learn more about Skyven here. HerdDogg, a US startup developing an IoT product for livestock farmers, has raised $2.3 million in seed funding. Midwest-focused venture capital firm Serra Ventures led the round with participation from Innova Ventures and iSelect Fund. The oil and gas company highlighted its emissions goals in its annual sustainability report. Two water-wise landscaping exhibits are currently available at California Fairs – one at the California State Fair in Sacramento and the other at the Orange County Fair in Costa Mesa. Invest in the future of the Central Valley! Would like to be part of the group angel fund and invest in the startups? Curious about what BlueTechValley and Valley Ventures are? and how they can help your startup. Webinar: Is Exporting for Your Company? U.S. Department of Commerce cover these topics. Click here to learn more or register. Is your company developing an energy-related product? SERC can help! feasibility studies, resource assessments, and energy planning studies. Join us for a webinar on August 29th to learn more about how the Schatz Energy Research Center can help members in testing their products. November 16, 2018 - click here for more information. The Startup Legal Garage is an innovative program at UC Hastings College of the Law that offers free legal services to early-stage technology and biotech companies. Applications are accepted on a rolling basis starting July 1, 2018. You can apply on their website here. The Lab Partnering Service is a service of the U.S. Department of Energy’s (DOE) Energy Investor Center. The service provides investors, and other parties looking to advance energy innovation, a single location to connect with leading DOE national laboratory technical experts to quickly answer innovation questions, as well as discover opportunities for building partnerships. Click here to learn more. evaluation of new solution methods for grid optimization. Click here to learn more. The Los Angeles Cleantech Incubator (LACI) and the California Clean Energy Fund (CalCEF) announced the California Climate Cup, a startup innovation competition seeking the next generation of technologies, business models, and platforms that will help megacities—as well as states and regions—accelerate reduction of greenhouse gas emissions, improve air quality, and enhance resiliency in the face of climate change. Click here to apply before August 6th. Sutter, Yolo & Yuba counties. The Energy Commission’s Food Production Investment Program -To learn more or apply for the FPIP click here! pitch contest on August 29th, 2018. For more information or to participate click here. has launched their new user-friendly website, “OLLIE” (Online Legal Library and Information for Entrepreneurs) with resources to help entrepreneurs looking for legal advice. Click here to check it out and get the information your startup needs! Follow us on social media or contact us at bluetechvalley@csufresno.edu!